Sponsor a local charity to become more effective! As someone who runs a business in West London you will be aware of the community around your workplace and the social fabric that holds it together. You may already donate to local charities or have your staff volunteer time or skills to help a cause. Most charities and voluntary groups in West London are small, often delivering invaluable services on a modest budget. 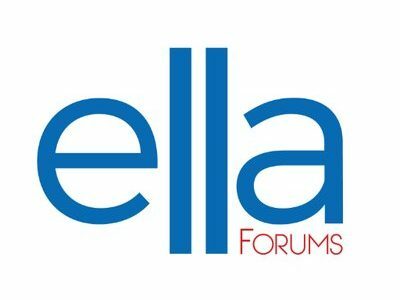 Ella Forums bring together leaders and aspiring leaders of smaller charities and social enterprises to share their experience in a constructive and supportive way. Meeting together as a peer group, once a month, they develop leadership skills and share ways of growing the capacity and efficiency of their organisations. Often, the challenges of growing a small charity echo those needed to run a business. Ella makes a charge to run a Forum and we know that very small charities find it difficult to meet new costs. Your business can help the local community by sponsoring a local charity, perhaps as part of a partnership from which both business and charity can benefit. If your business has a social purpose and you might benefit from being a member of our Forum, we could discuss that, too. A new Ella Forum is opening in May, in Hounslow, though charities and businesses from neighbouring boroughs are very welcome to join.